The fashionista of Bollywood Kareena Kapoor Khan made a starry entry to the gym in a black and white striped t-shirt. The actress also sported black glares and white sneakers.The gorgeous actress is also seen as an inspiration for all the working mommies out there. She never really went off screen as even during her pregnancy, Bebo never really shied away from getting clicked at red carpets or even walking the ramp for top designers. 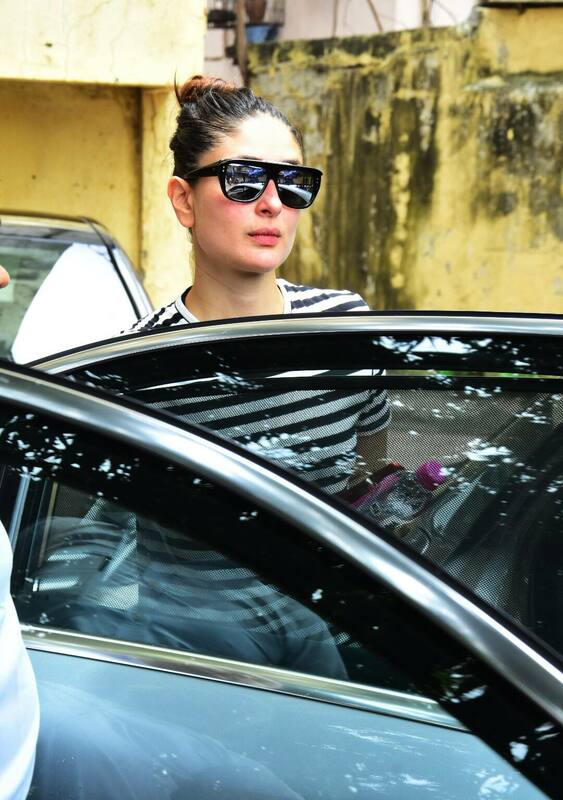 She made sure that she stays fit and soon after her delivery, Kareena was seen hitting out at the gym. The actress keeps her fitness regime on point and we like it. Her style is surely going to be followed by many fitness freaks who regularly pump up the iron at the gym.